Whitby School leverages ion’s Easy Quick Start templates to create differentiated content in a highly competitive market. Whitby School is an innovative private school in Greenwich, Connecticut serving 440 students from the young age of 18 months all the way through Grade 8. Whitby inspires a passion for learning and empowers each child to take responsibility as an open-minded, principled citizen in a global community. A Whitby education is about allowing students to define success on their own terms by inspiring their love of learning, broadening their sense of responsibility, developing their critical thinking skills and empowering them to take action in a global community. These are the ideals that we value and they inform our teaching, learning and curriculum development each and every day. The Whitby School is a Montessori, lower, and upper school located in Greenwich, Connecticut. It serves 437 students ranging from eighteen months to eighth grade. The school is recognized by three accrediting agencies and prides itself on multi-teacher classrooms, low student to teacher ratios, and inquiry-based learning. However, with ten other private elementary schools serving 5,259 students in the Greenwich area, many of which are longstanding community institutions with higher endowments, Whitby often saw itself as the underdog. In a market flooded with options, Whitby’s main goal was delivering its message to the community in a way that stood out from the crowd. In late 2014, the school decided to make the move from outbound to inbound marketing. One of its first goals was to launch a successful blog that published twice a week on a newly revamped website. Having realized that goal, Whitby focused on content and decided to go interactive to differentiate itself from the crowded Greenwich education market, according to Sarah Mead, director of marketing and communications at The Whitby School. 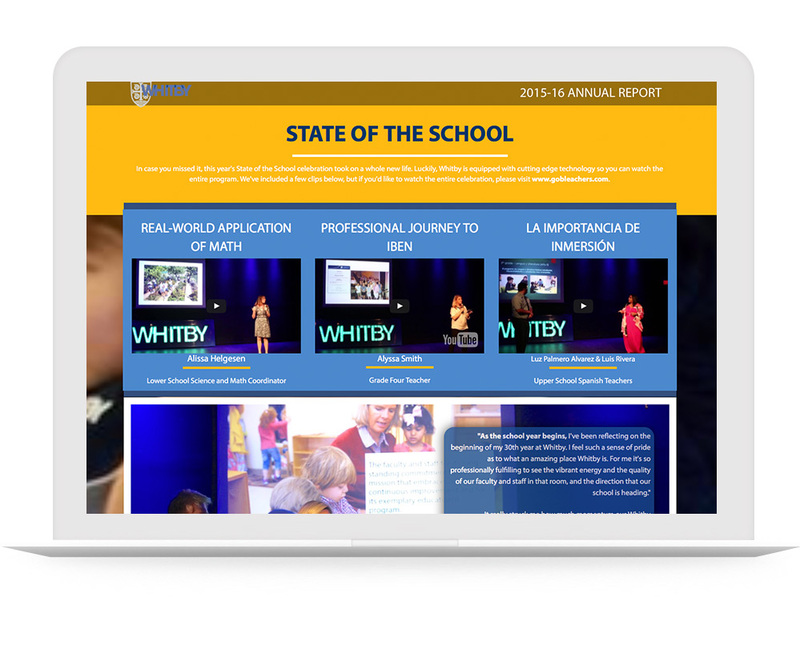 To create their first pieces of interactive content, The Whitby School chose ion interactive’s Easy Quick Starts, a collection of prefabricated templates that can be branded, customized, and launched by any marketer. 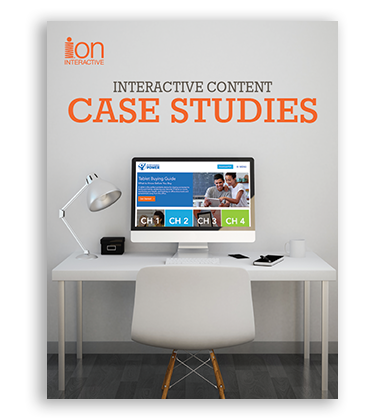 And because the Whitby marketing team was new to design, ion also provided consultative support and training resources to ensure Whitby made the most of ion’s interactive capabilities. Over the course of eight sessions, ion’s product support team coached the Whitby marketing team through the content creation process step-by-step, setting them up for success in building their own interactive content. Mead primarily hoped to increase engagement and conversions. She wanted to educate the community about the value Whitby provides. The perfect place to test the potential benefits of interactive content was the school’s employee recruitment page. Mead created a quiz called “Are You a Rock Star or a Robot?” that asked potential Whitby faculty questions like “Do your big ideas keep you up at night?” The quiz both helped job applicants educate themselves about the school’s mission and created a feedback loop of data from potential new hires. 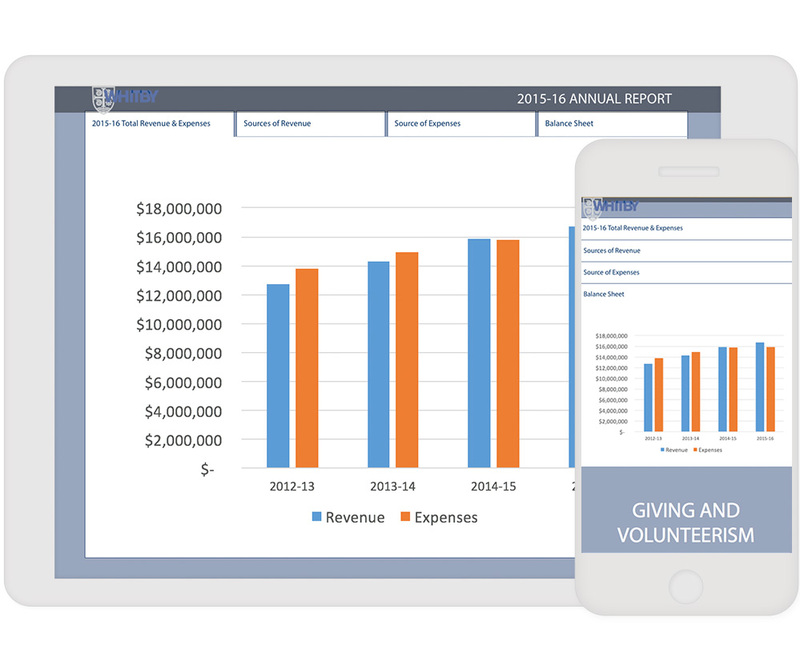 The next two pieces of content Mead created with Easy Quick Starts were two interactive infographics; one focused on the school’s annual report, and the other gave parents key statistics, such as enrollment and student to teacher ratio. Putting this information in an easy-to-access interactive infographic instead of an easily discarded or misplaced printed pamphlet made it possible for Whitby marketers and administrators to track engagement. While it can be difficult to convince school administrators to embrace digital media, Mead says everyone in The Whitby School has been excited at the prospect of creating more interactive content. 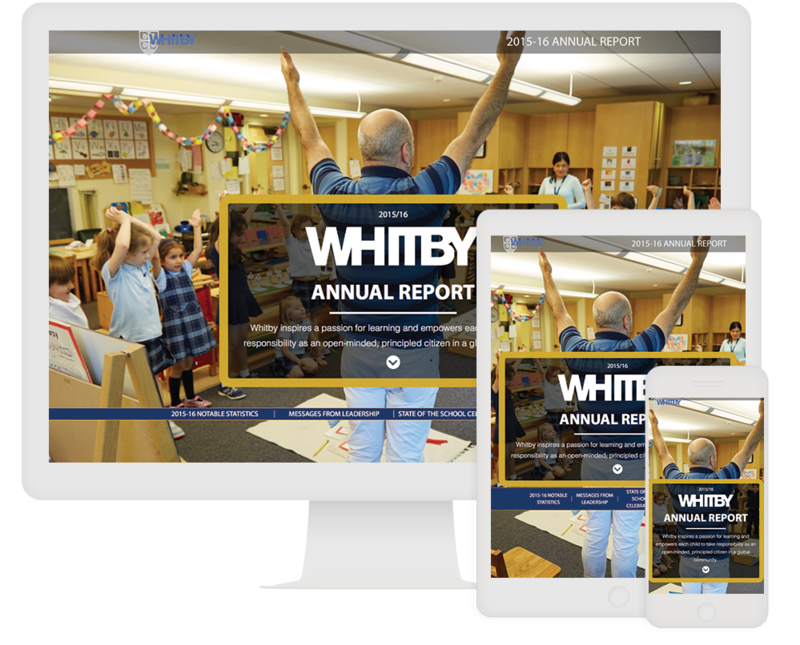 Faculty, administrators, and the marketing team alike have been busy making plans for creating interactive content around every aspect of the Whitby experience. “We’d love to make quizzes parents can take, or even have students ask their parents if they can go to our website for fun interactive games and quizzes,” Mead says. Now that Whitby marketers have mastered Easy Quick Starts, they’re looking forward to training faculty to use the platform in order to create content focused on digital citizenship and even fun, interactive handbooks. ion’s Easy Quick Starts have given The Whitby School a tool none of the other schools in Greenwich have — the power to engage parents, teachers, and students through interactive content.